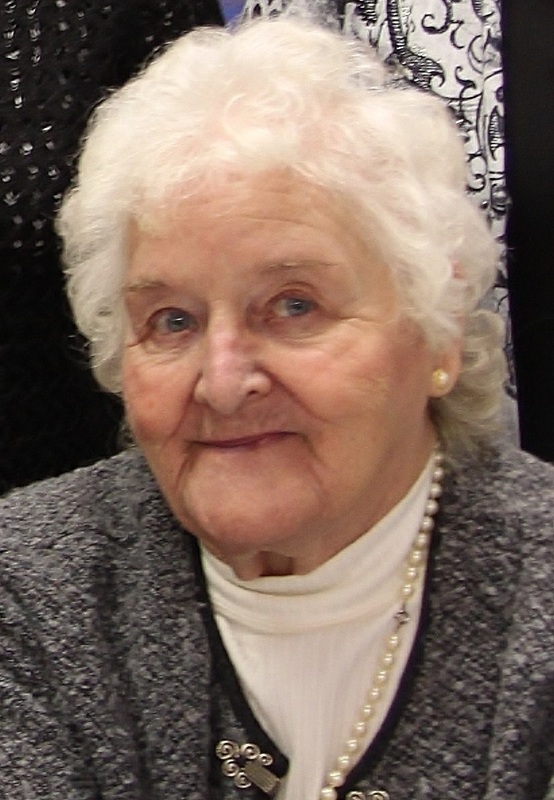 Patricia A. Tsepelis, 86, of 822 South Ave. Bradford, passed away Tuesday, August 7 2018, at Bradford Regional Medical Center, surrounded by her loving children. Born June 9, 1932 in Portville NY, she was a daughter of the late Minor F. and Florence I. (Chaffee) Mesler. She attended Ceres and Bradford schools. On December 22, 1950 in Degolia, she married Socrates Tsepelis Jr., who died January 5, 2017. Pat was formerly employed at Bell Telephone Company as an operator, AirCo Speer, and the DeSoto Holiday House, she was most proud to being a homemaker. She enjoyed crocheting, spending time at her pool, most especially spending time with her grandchildren and family. Surviving are five daughters, Colleen (the late Ron) Nolder, of Portville, NY, Deborah (Gerald) Keesler, of Aiken, Dawn (Larry) Stillman, of Bradford, Jill (Charlie Miller) Hale, of Ohio, and Lori St. Clair, of Ohio, one son, Sam (Nicole Griswold) Tsepelis, of Bradford, two sisters, Linda Schwab, and Wanda Hills, both of Bradford, 13 grandchildren, 15 great grandchildren, and many nieces and nephews. She was preceded in death by her parents, husband, one brother Irwin "Bud" Mesler, and three sisters, Betty Sives, Beverly Wilson, and Mary Lou Wurster. At Pat's request there will be no visitation. Private services will be observed by family at Hollenbeck-Cahill Funeral Homes, Inc. with Rev. LeRoy Beckes, retired Presbyterian minister officiating. Burial will be in McKean Memorial Park. To my cousins and their families, so saddened to hear of Aunt Patty''s passing. She will be missed by all those that were lucky enough to cross paths with her. My prayers are with you in your time of sorrow. The Lord will sustain you and give you peace and comfort today and always. We always have our memories to hold onto and warm our hearts in times like these. God bless!!! Prayers of comfort, healing and peace to you and your family. Have a lot of fond memories of Sam and your mom. Colleen, Scott and I are so very sorry to hear of your mother’s passing. Sending you and your family love and prayers for peace. So sorry to hear about your mom. Hopefully the happy memories will help you through the hard times. We have fond memories of family get togethers. Love and prayers. Jill I am so sorry for the loss of your Mother. Please know you are in my thoughts and prayers as the rest of your family. So sorry for your loss. She was a very special lady. You are all in our thoughts and prayers. I was one of the many who waited on Pat at the local McDonald''s for many years. She was a sweet wonderful lady, and we''re all going to miss seeing her in the mornings. My condolences to her friends and family. We are so sorry for your loss.. Our thoughts and prayers are with you all through this difficult time.. The Timblin family..
Our sympathy Lori and Family.